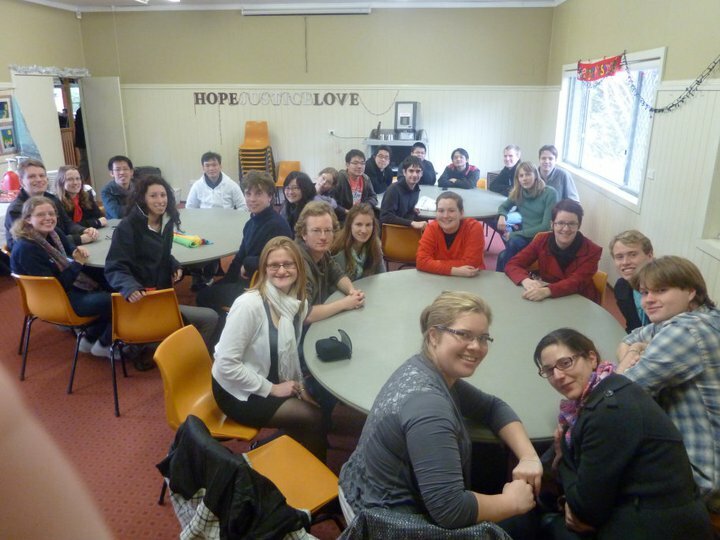 One of the distinguishing features of the Sydney University Wind Orchestra is its amazing social aspect, and this year’s camp at Lutanda, Mt Victoria, was no exception. The camp provided a great opportunity to prepare for the State Band Championships, which will take place in September. Old friendships were re-kindled and new members were able to better get to know the rest of the band. Daily rehearsals, under the baton of Adrian Tan, were supplemented by engaging listening workshops, run by assistant conductor Sandra Horne. Sandra’s classes were a great ‘reminder’ of some fundamental musical theory and all found that learning to listen more helped to improve our overall sound. 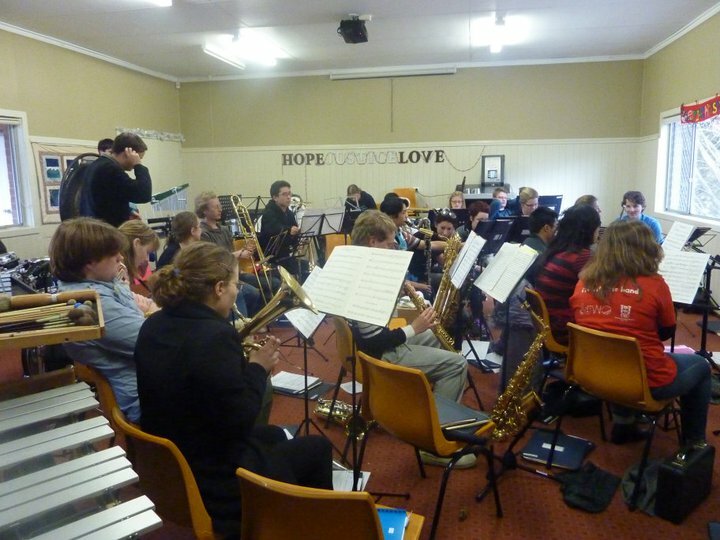 Sectional rehearsals provided time for ensemble work, which was show-cased in a Talent Quest on the final night, as were some amazing soloists. Of course, it wasn’t all work… Split into four teams, we competed against each other in trivia, a scavenger hunt and an epic game of movie-mash up charades, as well as team-colour bandana theft to gain extra points. Unfortunately, no one managed to catch up to the ‘red team’ (who were really blue) who eventually reigned triumphant. With improvement evident in the way the orchestra sounds, and the competition test-piece ‘Rising Dragons’ coming along nicely, we’re all ready for the hard work and fun semester two will bring. Thankyou to all who took part in making camp so amazing! Musically and socially, SUWO camp was a tremendous success. Adrian threw the band in the deep end with a lot of difficult sight-reading, but by the end of camp we were on top of every piece we played. The conducting workshops were also highly productive, with Danika, Josh, Sandra and Vicky all taking a turn with the band and building their own skills and confidence as a result – and the listening workshops run by Sandra revealed SUWO’s hidden talent for singing in four-part harmony. Talent Quest on the last night provided an opportunity for smaller groups to perform for the band and Lutanda staff. Some members revealed unexpected talents – e.g. 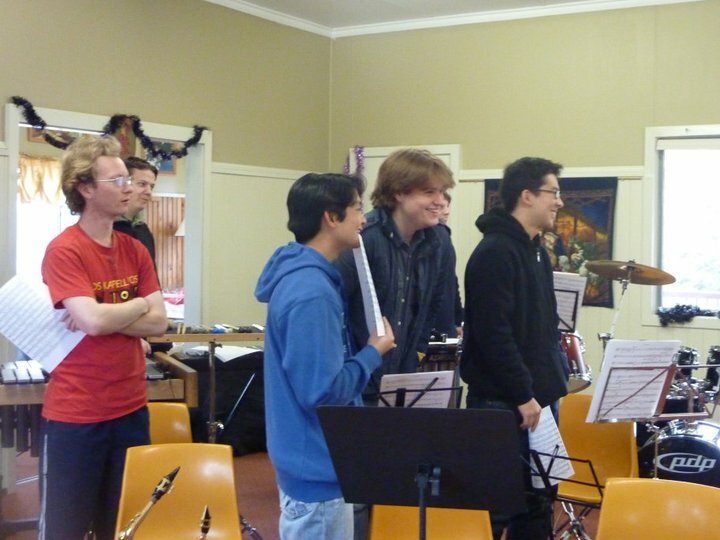 Daniel’s arrangement of TV themes for clarinet ensemble – and some utterly wowed us with their artistic performances, such as James winning the Talent Quest with a blues solo on vibraphone. Camp also took an unexpectedly competitive turn when a throwaway line by Adrian about our team-colour bandanas led to a three-day sneak-attack extravaganza.